Festival season is in full-swing and we’re here to tell you why Syracuse is the best place for summer fun this weekend. Whether you’re looking to navigate fun your way at a classic boat show or draw out your plans to include a stop at Artsweek, Upstate New York State is the place to be. Grab a room, unpack, get out and do your thing. 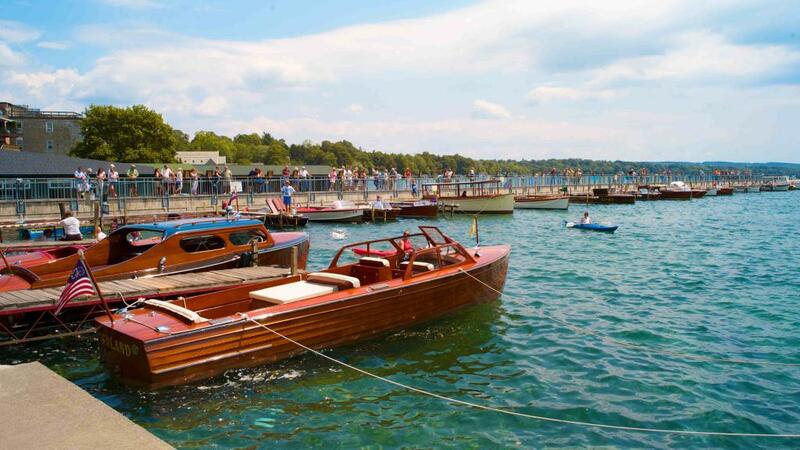 Be the captain of your weekend plans and take control of your summer fun by coming down to the Skaneateles Antique and Classic Boat Show. The show highlights boats from the past on both land and water! But the fun doesn’t stop there, live music will fill the village of Skaneateles and add hustle and bustle to the quaint streets. Stay for the parade full of classic restored mahogany boats, it’s something that you wood-n’t want to miss! Grab a bite at Doug’s Fish Fry or take it to go and enjoy the view of antique boats on the glassy waters of Skaneateles Lake. Venture north for Oswego&apos;s Harborfest and take in the beautiful views of Lake Ontario. This four-day long celebration rocks more than just the boat. The shores of Lake Ontario will be transformed with a mass amount of vendors, food trucks, stages and even a midway! Don’t miss the award-winning firework spectacle that rivals the greatness of the Great Lake it takes place on. More into brushstrokes than boats? Head inland this weekend and take in the Americu Syracuse Arts and Crafts Festival. This 3-day showcase will bring in over 160 artists, crafters and entertainers! Pick up that piece that’s been missing from your collection and enjoy the work of some of the country’s most talented artists. Also, don’t miss the opportunity to fill up on treats from the many food truck vendors attending! Art isn’t the only thing being drawn, this event is expected to draw in over 50,000 visitors, so take part in the hype and join in on the festivities. Get cultured this weekend and come to Hanover Square to experience authentic Native American music, dance, crafts, and food. The Stage of Nations ECOfest showcases eco-friendly practices and products as a reminder that we need to protect Mother Earth. Thousands will gather for this festival that ties in responsibly using our natural resources and Native American culture! Want to jam out to music and sip on Syracuse? Wine-not do both! The Northeast Jazz & Wine Festival comes to Downtown Syracuse to conclude Syracuse Artsweek with a bang. Come to the Mardi Gras, World Beat or Wine Tasting pavilions to get your drink fix all while enjoying the music of some of the Northeast’s best jazz performers! Consider yourself a chalk art artist or looking to catch some beautiful art on Montgomery Street? The Syracuse New Times Street Painting Festival celebrates creation and showcases the work of local artists competing to be the champion of sidewalk art. All skill and age levels are welcome and you can register online or on the day of the event. Grab some inspiration, get chalking and bring your creativity to the streets. *Keep an eye out for other pop-up events and vendors, they’re known to sprout up around the city to add to weekend fun.